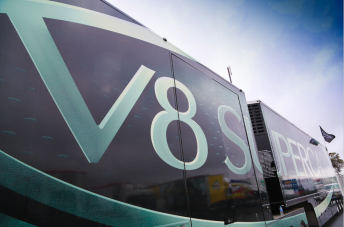 The V8 Supercars Board and Commission will continue unchanged after formal confirmation of the reappointment of the three out-of-term team representatives. Roland Dane remains on the Board alongside the existing second team member, Brad Jones, while Todd Kelly and Tim Edwards have both been given fresh two-year terms on the Commission. Despite mid-season rumblings of competition for the Commission places, all three returned to their positions unopposed, leaving the announcement at today’s Annual General Meeting as a formality. The confirmations follow last month’s news that Steve Horne and Neil Crompton have replaced Mark Skaife and Chris Lambden as the Commission’s chairman and independent respectively. Jones has a further year to run on his Board and Commission seats while Walkinshaw Racing’s soon-to-depart managing director Steve Hallam has another year as the Observer, provided that he remains aligned to a team. Dane told Speedcafe.com that a higher level management change at V8 Supercars earlier in the year, which saw David Malone ousted in favour of James Warburton, played a role in his decision to continue on the Board. “I was in two minds about it but at the end of the day there’s a job to be done and we’ve all, myself included, got significant investments in the business, so it’s important that we’re well represented on the Board as a group of teams,” he said. “I think the only point I’d say is that if the management team had remained as it was earlier this year there’s no way I would have allowed myself to be nominated for it again. The workings of the Commission have been a hot topic this year thanks to the introduction of the Car of the Future and, with it, new manufacturers. Disagreements over parity have seen some in the sport, most recently including Nissan’s global motorsport director Darren Cox, voice a strong preference for a fully independent Commission. Having personally played a key role in devising the two-tier structure in 2010, Dane is one of the staunchest defenders of the teams having their say at both Board and Commission level. The Triple Eight boss believes that the current Commission structure has been let down by a fundamental misunderstanding of what parity measures should be trying to achieve. “I think the structure is good, but what needs to happen is to try and ensure that we actually follow the principals of technical parity, not sporting parity,” he said. “Doing that will take away the angst of decisions having to be made on the fly at the Commission. “We are not here to make decisions or implement rules to effect sporting parity. That’s not what this category is about. The V8 Supercars Championship continues this weekend with the Armor All Gold Coast 600.